This symposium is organized by the StableNextSol COST Action project which celebrates its closure with this conference. 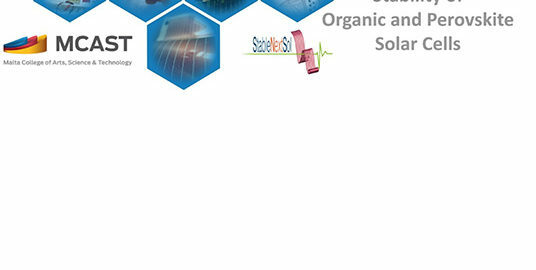 The symposium is focused on the stability of Emerging Solar Cells such as, Organic, Perovskites, Quantum Dots, Hybrid and Dye sensitized Solar Cells, including Tandem architectures. The main objective is the understanding of the different degradation mechanisms that affect solar cell stability and the development of innovative methods to improve device lifetime. The meeting solicits abstracts related to new highly stable materials, interfaces, barrier layers, improvement on device architecture, novel characterization techniques, simulation, fabrication methods, and modules. Abstracts dedicated to novel applications, response under low light irradiation, characterization protocols and devices and modules with extended lifetime are also welcome. 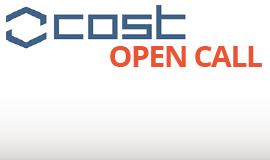 Travel Scholarships: The StableNextSol COST Action project has allocated a limited number of scholarships for COST members (students and ECI but not MCs) who have contributed with outstanding results on solar cell stability. Anyone willing to apply for the economic support should submit an abstract (as presenting author) indicating their willing to be supported and indicating the publication details of the work (with Acknowledgements to the StableNextSol COST project). Abstracts without these details won’t be considered for financial support. All abstracts will be peer reviewed. ECI = Early career investigators (researcher whose career spun less than 8 years between the date of the PhD/doctorate (or similar experience) and the date of involvement in the COST Action). MC = Management committee member. We cordially invite you to attend the 10th International Summit on Stability of Organic and Perovskite Solar Cells (ISOS-10), which will be hosted by the Malta College of Arts, Science and Technology (MCAST), from October 18 – 20, 2017. ISOS has been running since 2008 and has rapidly become one of the most attended workshops in the field, bringing together an expert community both from industry and academia. The program includes round table discussions and the limited number of participants creates a unique atmosphere for informal scientific exchange. 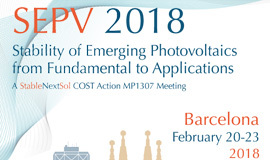 This year’s program will cover the following topics: degradation of photo-active materials and full devices in the field of organic, hybrid and perovskite solar cells, flexible gas barriers, applications and standards, characterization techniques and few talks from related optoelectronic devices, for example OLEDs or Si PV reliability.